A great number of wristwatches of various colors, brands, mechanisms, patterns and designs exist. These factors remain some of the criteria people have in mind when purchasing wristwatches. Generally, stylish and high quality watches come with very high price tags; prices that are sometime beyond affordable. But the fact remains that most people would go for the stylish and fashionable provided they can afford it. Having a watch that combines most of these characteristics to come out as a masterpiece is rare. Having a watch that combines these features effectively and has a modest price tag is rarer and near impossible. It was not until I saw the Zinvo Blade Nitro Watch that I finally believed it was possible. The Zinvo Blade Nitro Watch remains one of the watches that top my personal list of best watches ever. This watch combines the basic features every watch should possess alongside some other advanced specifications that make it top-notch. Zinvo, which is an American brand, basically deals in manufacturing watches with the best features to sell at affordable prices. 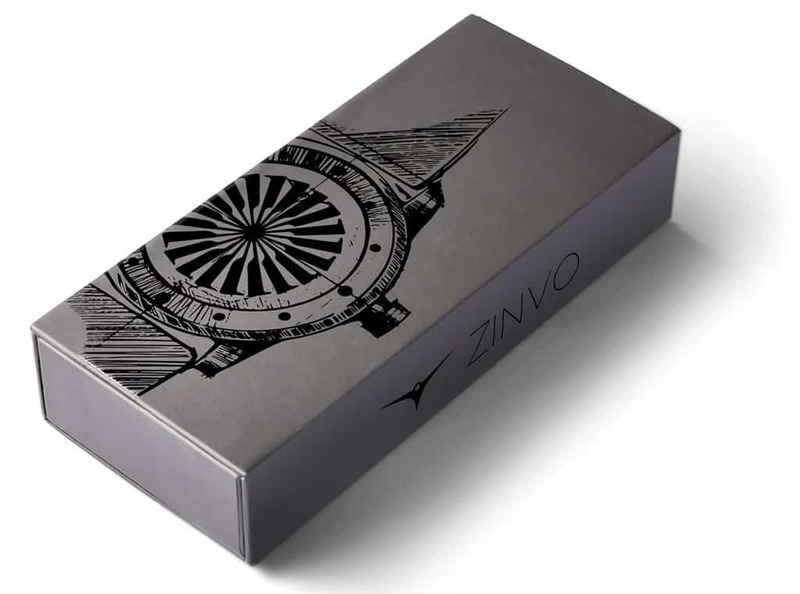 The Zinvo Blade Nitro Watch possesses a sleek and stylish appearance that makes it very unique. This watch draws attention to itself all the time thanks to its solid construction materials and sleek appearance. The high quality of the design and the entire watch becomes apparent upon taking a look at it. The Zinvo Blade Nitro catches the attention right from the appearance. The watch usually comes in a slim box that bears the image of what the actual watch inside looks like. This box usually contains the necessary instructions that are essential in making use of the watch effectively. Inside the box, the watch is found nestling in a foam rubber cutout with a cloth covering the surface. The watch also comes with a card that carries the entire product information including warranties and the model number. Upon removal from the box, the watch’s exclusive design becomes obvious starting with the sapphire crystal glass protecting it. This glass possesses scratch-proof qualities and ensures that the watch remains totally undamaged in the event that any falls occur. One of the watch’s unique features however, remains the 1-second spin turbine that can be found above the watch dial. This design is created using dark and bold colors that give it a hypnotizing effect. The dark background of the watch surface also ensures that the white markings are obvious. These markings are the white date display and also the hour and minute hands. A look at the surface ensures that the viewer is mesmerized thanks to the intricate pattern of the wheel. Also, the same metal that comes with the box can also be found behind the glass. This metal serves as the hour markers due to the cut-outs of the metal that are placed there. This system ensures that the user can effectively tell the time while also serving as a great design. The Zinov Blade Nitro Watch operates very efficiently in terms of performance. The automatic movement that remains very obvious through the clear case back ensures that the watch operates smoothly. 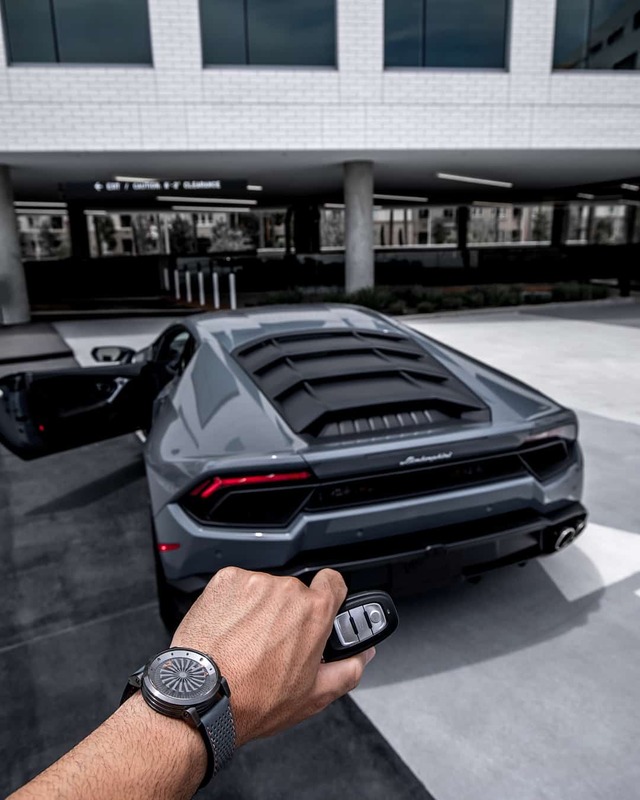 The watch also possesses a 42-hour reserve power while it can easily be adjusted via the push-n-pull mechanism. This mechanism makes the crown very easy to make use of. Also, the automatic movement ensures that the watch accounts for every second it counts while it operates. 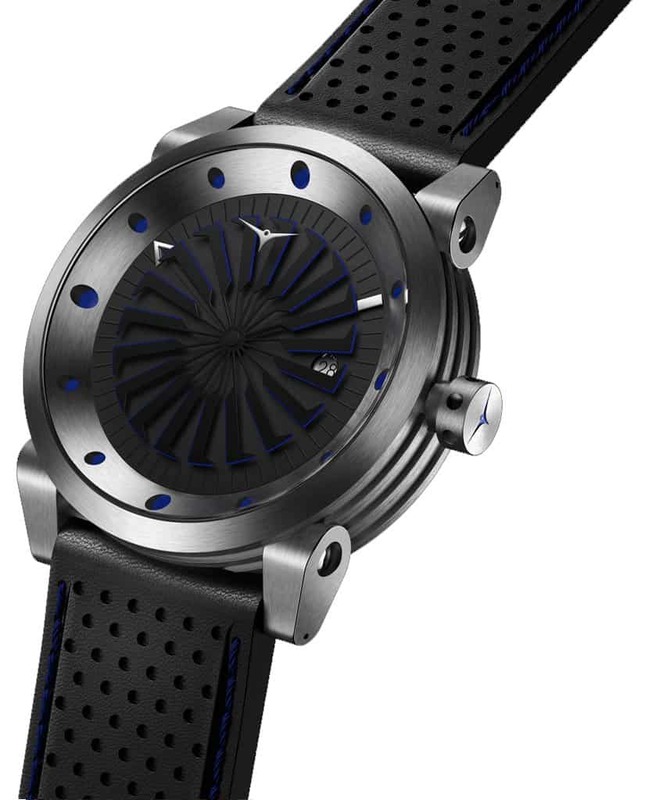 Also, the watch possesses water-proof abilities according to the makers and can stay in up to 100 meters of water. Despite actually not testing the waterproof abilities, the watch operates just fine even after some water has splashed on it. The genuine leather strap possesses enough flexibility to be adjusted at any time without getting any sense of discomfort. The strap which is solidly built does not eventually get creases or lines like other leather-like straps. Also, despite the fact that the watch is quite weighty (10.4 ounces), it does not burden the hand at all. The watch weight can be easily borne without even being conscious of anything weighing down on the wrist. The stitching that can be found on the side also gives the watch a measure of class due to the blue thread color. Despite the general classiness and high quality, this watch sells for just $239.00! This in itself remains one of the reasons this Zinvo piece is second to none. All these features come at a price that can be paid by basically any watch-loving individual. Most watches that have this same price tag usually lack most of the features that Zinvo Blade Nitro possesses. This deal is indeed a steal! One Characteristic that effectively shows forth quality watches remains the weight. There is general assumption that heavier watches are of higher quality than lighter ones. Zinvo Blade Nitro totally aces the weight test if that is a criterion for determining quality. The watch fairly weighs heavy without putting too much weight on the wrist. This simply points to the fact that high quality materials and components are used to create this piece. In essence, the watch effectively combines quality with style. This combination remains one that is very difficult to come by even in designer watches. This makes the Zinvo Blade a notable investment alongside the fact that it goes along with so many dressing styles. It can be worn with both formal and informal dresses thanks to the rugged style. This complementary fashion piece remains the best choice to go for when buying your next watch.